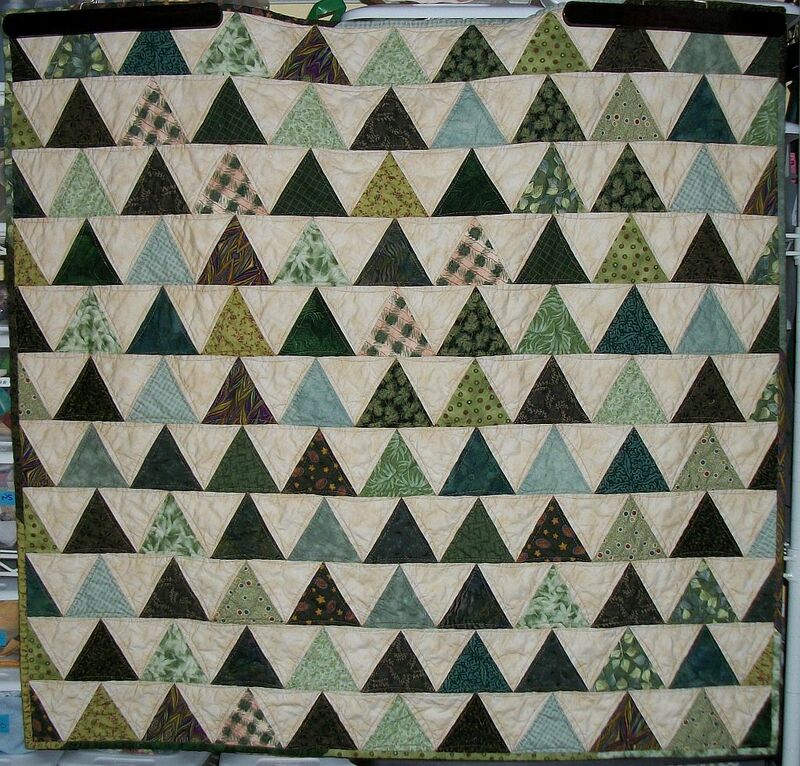 Posted by Pam in KC in 1000 Pyramids, baby quilt, finish. 99 Pyramids. 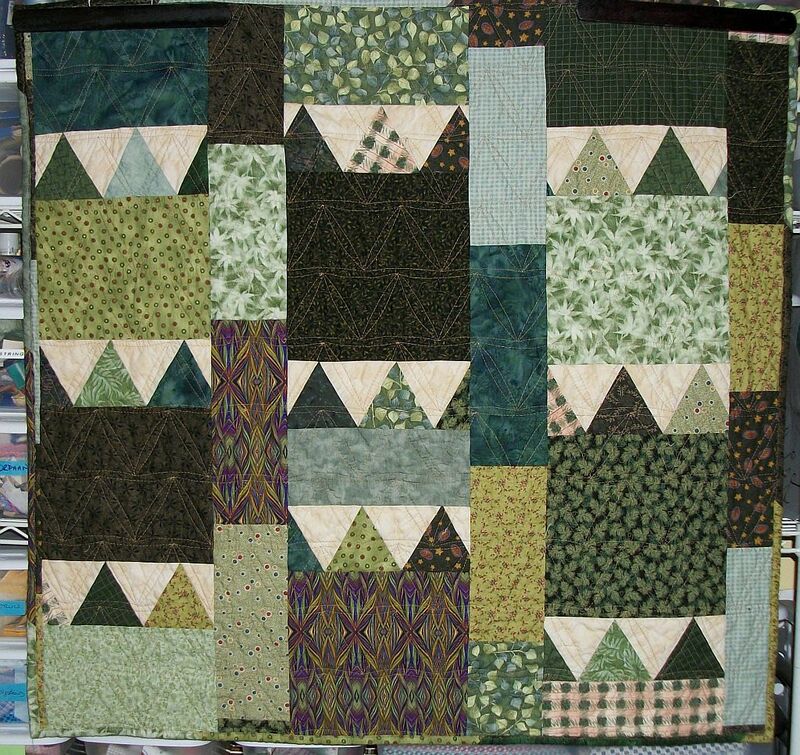 Back in April 2008 I took a class to learn how to use my Wonder Cut Triangle Ruler. I quickly finished up the front and then pieced together a scrappy backing and binding from the leftover pyramids and green fabric. At one point I even had this quilt quilted — but the tension was really bad, not to mention the quilting design didn’t work as expected, so I ripped the quilting out. It wasn’t very hard given the bad tension. A couple of weekends ago I decided the quilt had aged appropriately (that, and I have a great-nephew on his way sometime this month) and this quilt needed to be quilted. There’s lots of love pieced and quilted in to this quilt and it will be great for dragging around when the baby gets big enough to drag it. Most importantly it has no pink in it. My niece told me she “hates pink!”. As soon as the baby get’s here I’ll add a label and get it to my niece – not that there’s a big hurry — there’ a heat warning through Thursday.